In the world of sound acquisition, the last few years has seen a broader move to improve the audio signal path. MEMS microphones coupled to a signal digitising system now means that hybrid microphones are widely used in consumer products. Placing the digital conversion close to the microphone sensor itself helps maintain signal integrity and limit noise and interference from disturbing the signal path. Converting to digital at source, means that audio is more easily distributed over longer cable lengths. Automotive hands-free systems have adopted such technology to improve cell phone call quality on the move. 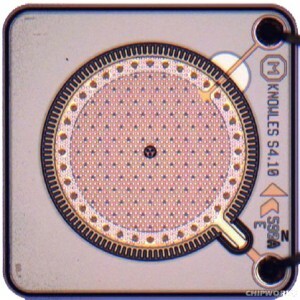 MEMS microphones have, due to their space efficiency, also been widely adopted in Smartphones and tablet computers. Ultra-low-power design rules to minimize power supply demands and/or simplify phantom powering. High SNR >65 dB achievable with our low noise conversion stage. ICsense design skills can be found at the heart of the world’s first digital MEMS loudspeaker technology developed by Audio Pixels.The revolutionary Audio Pixels approach provides a new high performance audio reproduction experience in a previously unheard of tiny form factor. Not only is the sound performance impressive, but this technology promises improvements in power and output efficiency. Furthermore, as this is a direct digital sound technology the output signal path is simplified.